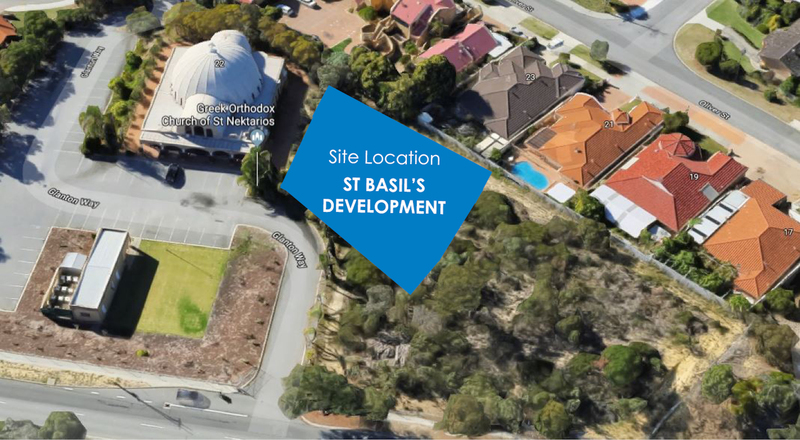 We’re thrilled to announce that preliminary work is underway to build new premises for St Basil’s in Dianella. This exciting new development will provide ample office space for administration staff and visitors, employee training facilities, state-of-the-art commercial kitchen and dining facilities, plus purpose built Day Centre. Our new Day Centre facility, known as ‘Café Zoe’ will offer a relaxed and modern space for all visitors to enjoy and participate in social connection, cultural enhancement and learning activities. The Day Centre will also be specifically designed to incorporate cutting edge dementia enabling principles that will provide a more accessible, safe and calming environment to better support those with dementia. By including some key design elements, we aim to create a well-planned environment that can reduce confusion and agitation, provide opportunities for engagement in meaningful activities and encourage interaction for a much happier experience. Building works will commence in late 2018 and we anticipate the launch of our exciting new premises to be in late 2019. St Basil’s would like to acknowledge and thank Lotterywest for providing majority funding for this extensive project, along with the Greek Orthodox Archdiocese of Australia that is contributing part funding. Watch this space for updates and further information leading up to the completion date.